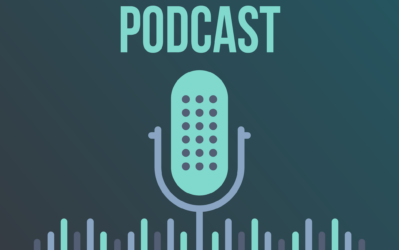 A couple of weeks ago, I had the pleasure of sitting down and interviewing Doug Cunnington for the Niche Pursuits podcast. He's had some impressive results with one of his newer niche sites that I wanted to share. Does the name Doug Cunnington sound familiar? You may recall hearing about Doug because I shared his success story just a few months ago! At that time he was earning over $1,000 per month from the site already, and he's come back to tell us how well its done since November. Overall, Doug basically took the techniques that I've shared from Niche Site Project 1 and Niche Site Project 2 and applied it to his own new sites. And of course, he has tweaked the process and strategies a bit to make them work well for him. In fact, he's done so well, that his site earned over $6,000 in December alone! The site has clearly grown exponentially, and so I wanted to know step by step what Doug has done to get his site to this point. In addition, Doug has started a blog called NicheSiteProject.com, where he shares what he's learned and the best practices for niche websites. Doug has already taken the time to write down all his advice for using project management techniques for building niche websites in a book. You can get his Niche Site Project Management book right here. 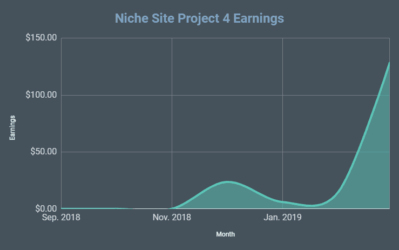 Overall, you can follow Doug's progress with this niche site and more at NicheSiteProject.com. I really enjoyed interviewing Doug and hearing about his recent success! If you have any questions that you would like to ask Doug feel free to comment below. Super impressive Doug. I started reading you blog a couple weeks ago and I noticed that you’ve really got some great momentum going on. I’ve been able to rank several sites at the top but I never had a single site make that much in a single month. I’m sure you’ll be able to drive your site back up in no time. Keep it going! Hey Josh, Thanks…I read your blog too. 🙂 The niche I found definitely exceeded my initial expectations. I’m hoping that I will have some free cycles to move the site back to #1. Wow, more inspiration for the rest of us to ramp up our efforts. Way to go! Awesome Doug! Well done. More and more of these will start coming up I’m sure, kudos to being one of the first spawned off from Niche Pursuits Projects 1 and 2. I also found Spencer and Niche sites from Pat Flynn. Hi Josh, thanks. 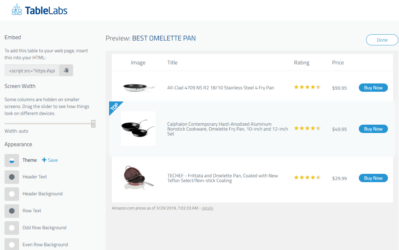 I have definitely started to notice more Amazon Affiliate sites out there. Have you listened to Pat’s new podcast? It’s the daily Q&A podcast…it’s very good too. Most of the episodes are about 10 mins long. Spencer – thanks for the opportunity! I really appreciate it. Absolutely! We are all happy with the success you’ve had, and its great to hear your story. I’m more than happy to give you the opportunity to share…so thank you! That’s awesome Doug! Congrats on your success! I hope to get to that level soon! Hey Todd – Thanks. You can do it! Looks like you have a nice site over there. Cheers! Just signed up to your blog Doug. By the way, do you think that you could have been hit with a penalty for building too many links (especially comment links)? Hi Rahat – thanks for signing up! I can’t say for sure. But, no, I don’t think I was hit with a penalty. I know of at least one person that has only natural backlinks to one of their sites and they were hit too. They took about an 80% hit to their traffic. Ouch. They had a pretty pure backlink profile. That said, I don’t think blog commenting causes an issue if they are relevant blogs with genuine comments. Rahat, do you have any reference for blog comments causing an issue for rankings? Let me know, I’d love to hear about a real example! I don’t but after going through your blog (great material by the way), I found out that you probably got in trouble due to your anchor text. Great story, just annoying you get penalised by Google. This has happened to me a lot also over the past couple of years. I am still continuing though as I love SEO and passive income. Maybe the links from article directories are at fault. Maybe the anchor text of your competitors are older sites and the links were made prior to panda/penguin updates. Are you over optimising on your on page – keyword stuffing? Use more LSI keywords perhaps (related). Link out to other sites on page. Link too and from social profile pages – regularly update. Quality blog comments and forum posting. Just a few ideas worth testing. Hope to see your rankings improve. Hey Sue – Thanks. Only a fraction of the comments are approved and will stick. But it is really a great way to add diversity to your referring domains. Congrats !!! Doug for your success,I need to know what is your website and what for keywords you rank it ? Hahaa! Raphael, I’ll be (trying) to keep that information private. Very inspiring indeed! What I find most motivating about these sort of success stories is that regular people like me and Joe next door follow along, finally take the step and put things into action for a change and then achieve these kind of results. That simply inspires me out of my socks to get going with my own. I am currently busy with my first phase of link building on my very first niche site, with enough content to start get the site ranked for some good keywords. My rankings are already climbing up the ladder steadily, with a number of organic searches coming in already. I noticed I rank #1 on Bing for a decent number of keywords, which has shown to give me some results according to my Analytics reports. My second site already has the home page article and 4 additional articles published, so I can’t wait to get the initial content done so I can start promoting! I’m doing all the initial content writing myself, but once I start earning steady income from niche sites I’ll definitely start looking for a decent content writer I can work with on a long term basis. 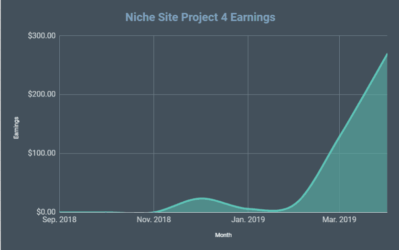 I would really love to have at least 5 completed niche sites, each earning at least $500 per month, before the end of the year, so I’ve made that my goal. Hi Ruan – Thank you. It sounds like you’re well on your way to success. I have to admit that it is nice to be able to outsource the content creation…it will really free up your time. Your site looks great – very nice layout. Good luck! Thanks Doug – I appreciate you taking a look! Thanks for the blog commenting video, Doug, that’s definitely the most actionable and efficient method I’ve come across – much more valuable than the usual ‘go comment on some blogs’ advice! Hey Curt – Thanks. I appreciate the compliment. Doug, you really got a great wife there. Could you share the avg. price of the products promoted by the site you earned $6k+ in Dec 2013, if you don’t mind? The average is about $100…the range is very big though, from $5 – $500+. When you build your own niche websites, how you work with visual part? I mean from where you add your images? I’m so frightened to take them from Google image search as I don’t want to be sued if you know what I mean. Any tips how to improve my posts with visual parts like product images or how to replace them with something else? Yes, I agree with you, Ruan. You should not use images from a Google search since you risk copyright infringement. It is a small risk but there are plenty of ways to avoid that risk. Nice podcast Doug and Spencer, was really informative and enjoyed it. Doug may i ask which fiver gigs you use or recommend to for the web 2.0’s? Hi Ahmed, Thanks for checking out the podcast. I’m glad you enjoyed it. Email me, Ahmed, and I can recommend a couple gigs for you. That is some impressive stuff Doug. Congratz! I do agree on that tier 2 links might have been deleted, causing a slight drop in your rankings. I have had some success with tiered link building, and I do notice a lot of the spammy comment links built by fiverr gigs get deleted slowly, so if you want to keep it up, you will have to order more every so often. Hey Kenny – Thanks! I think you’re on to something there. Link building isn’t hands off…it requires maintenance. Thanks for the tip. about how you go about building your niche site and the process that you are using. I would like to know if you use your authorship for each of you niche sites. Hey Anthony – thanks, glad you enjoyed it! That’s a big question with a long answer. Check out Niche Site Project 1 & 2 here at Niche Pursuits. That will answer a lot of questions for you. If you need more, let me know…and check out my site. Sign up for the email list. Yes, I use Authorship for each site. I think it helps the click through rate in the search engine results. You mention in your blog that you build PBN, may i know how much you buy for each? and do you wait until the domain is totally free from the original registrar or you also join the bidding? Free blogs are not effective anymore? or is it not as effective as PBN ? thanks for clearing up C block I.P. ….very useful ..
Are their any future plans for transcripts of podcasts or longer summaries? Hey James, I’m checking to see if I can help out on this front. Thanks for asking. Thanks to Spencer for letting me publish the interview. Congrats on the success Doug! Do you mind sharing the January earnings? Hey Reggie! Bring it on, buddy. 🙂 We should catch up soon. I think was able to find Doug’s site with some basic research (bestt******.net). Looks like the ranking comes from a bunch of paid PR links. I guess PBN’s do work! Lol, I loved the part about the first couple of sites you made never went anywhere, I think this is normal for all of us! My first site is climbing fast and has went from 100 to 1000 impressions a day in the last month but is not making any Amazon sales. The products are high end price wise so I think this was my downfall. My next 2 are less than 2 month old have have a couple of sales so hopefully I will figure it out. Hey John, It’s best to get those early sites out of the way and learn from the process. Congrats on your sites making sales! That’s a good feeling and proves the model for you. Good luck! Hi, I do niche websites. The problem is I have a problem with finding a good wordpress theme. So, I stick to only one wp theme that I can handle with. My question is… doing only one wp theme and building lots of different niche websites are have an under effect on with SEO? Any ideas? Hi Leo – I can’t say for certain since I don’t have a data sample large enough to make that determination. I have to say it has no impact at all…Think about all the websites that use Thesis or Genesis. It doesn’t make sense to rank sites based on the theme. Right? Have you observed anything that would make you think that themes have an impact on rankings? Now some themes might make it easier to add SEO relevant data, like Thesis, but a good SEO plugin can help out any other theme. Please I would prefer the podcast transcript fro this post Spencer. Hey Jerry, I’m checking to see if I can help make this happen for this podcast. Thanks for asking about it. I might have missed this in the podcast, but what is the average price range of the items you’re promoting? Excellent job by the way! Hey Bob, Thanks. The average is about $100…but there is a big range, from about $5 – $500+. do you experience a spike in your website traffic? It stuck for a while when i am trying to access it ..
Hi Voon – Yes… 🙂 It’s a good problem to have I guess. Hi Doug, congrats on your success with this site. Very impressive results $6k from one site and under 1 year from when you started online at all – CRAZY! Jon – Thanks, man. I appreciate it. Very impressive numbers Doug! I think I still have to learn a lot from you and Spencer! Thanks for sharing. Hey Daniel – Thanks for checking out the podcast. I read your blog on a weekly basis and wanted to ask you something. Can you please write a post on how to look at competition after the Google hummingbird update. It’s important especially for long tails. I’ll chime in for Spencer here. Look at the same factors that you mentioned. In addition, the Keyword Competitiveness number in Long Tail Pro is a really good summary of the top 10. The next step is to review the backlink profile of the top 10. If you think you can get the same or better links than the top 10, then it’s a good sign. Hope that helps. The fact is that it is still hard to tell you just have to give a few different niches a try – some will be profitable and some will not. Have you tried any adsense on the website in conjuction with Amazon,and if so, any insights? Is it worth to put it, how much does it make % in relation to amazon earnings. Thank you for your openness and sharing, you are a great inspiration. It was worth it, yes…and it didn’t take away from the Amazon sales. The % of Amazon earnings was low…something like 1%. But this was just one website so the sample size is too small to make any definitive conclusions. Awesome podcast. Listening to this reassures me even more that my new sites are going to do well. Even 3 days after launching my new site I am making money and I’m not even indexed in Google yet, just a little traffic from Bing, about 15 visits per day in the past few days. Been following your blog Doug, good luck. Wow! That’s super impressive that you’re making sales so soon after launching. Well done! Good Luck. I hope to see more from you at Niche Grind! Great story! I experienced significant traffic drop in mid January as well. I believe that is part of life in niche site business. 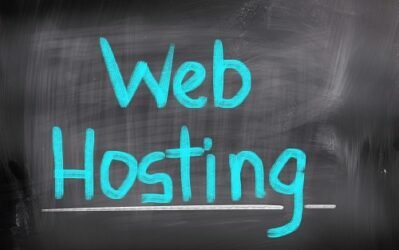 Just a quick question: if daily visits reach 700 – 1k per day, should we condisder VPS or dedicated sever in lieu of cheap share hosting? I guess the site speed might impact ranking as well, just a thought. Hey Mitchell – Thanks. It’s a bummer to see the traffic decline. Do you know why your traffic has dipped? You’re right – speed can impact the rankings. That’s definitely true. And, I’m the wrong person to ask about moving to a dedicated server…however, I think that level of traffic is very close to the threshold to move to more powerful software. I should look into that Mitchell! Thanks for triggering that thought for me. If you want, shoot me an email..I’m interested to hear about your site and the traffic changes. Congrats Doug and thanks for sharing. My question is about domain. Did you use a fresh one or an old registered one? It was a brand new domain. Hi Said – Thank you. Sure, just send me an email and I’ll try to help. Well done on your success with the niche site, and your other products / blogs look great as well. One of the niche sites I’d created suffered an over optimisation penalty, I made all of the fixes but it still took a couple of months to recover after making the changes. Having said that, it literally disappeared off the face of the rankings, whereas yours has just slipped down a bit. Not that I’m the most qualified person here (by far!!) but if I were you I’d try keeping up with regular content (eg: 1 per week) and occasional links, just so that it looks natural and keeps the site seeming ‘fresh’ in Google’s eyes. I think you tips are right on track. There isn’t anything bad about adding more content and backlinking. How do you think the visuals affects conversion rates? We agree google is not paying to much attention at it (only the html of course) but how it affects to convertion rates? I spend “a lot” of time flirting with visuals but, as I’m not doing A/B tests, I have no real reference to see the impact in conversion rates. Hey doug, how many web 2.0 links did you use? As mentioned in a previous comment, case studies like this inspire everyone to really follow Spencer’s coaching via the niche site project links. Hey Glenys – Thanks. I appreciate the comment. Good stuff Doug. I will tell you though, I would definitely stay away from the blog comments, article directories, etc. Those are yesterday’s tactics and I think they will negatively affect your rankings – either long term or short. Think of the big companies – do you see blog comments from Coca-Cola or Home Depot? Its only people in IM that leave blog comments…. That being said, glad to hear about your earnings! Hey Big Kahuna – Thanks! I can say that the short term effectiveness is positive and I have data to back it up. 🙂 However, your point is well taken. The other side of the coin is that even if a webmaster doesn’t make blog comments or post to article directories, their website still might negatively be impacted in the rankings. The other part is that I’m not competing with Coke or Home Depot (thanks for picking Atlanta based companies 🙂 ) – so the comparison is slightly out of context. I am not sure – what do you think, Kahuna? Do you think Google uses different criteria for product review sites versus corporate websites? I have a question for you and I hope you can help me out. I have been doing KW research, I came across one under the surgery niche. The top 10 Google results has a few sites with domain age of 0, 1 and 3 and then others are 6+ years. But there is nothing to promote from Amazon on this niche, people will only come to look for information on how this thing works, what it is and if it really works. Just wondering if it is a niche you think I should pursue? With the hopes of only earning from AdSense? The AdSense average CPC is $15+. Anyway, I’m hoping to your blog now, I’d really like to see how you did things differently in this ever changing world of SEO. It’s tough to answer…but I would say it would be worthwhile if the search volume is over about 4,000 exact match searches per month for the target geography. That CPC is very good but you do need some visitors on the site to make it worthwhile. You also need to make sure that you believe you can beat the top 10 – the domain age is good to know but the PA & DA is probably more valuable to consider. 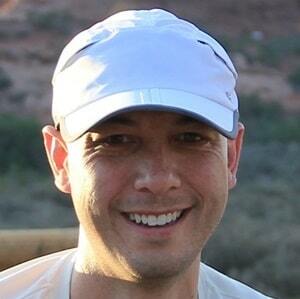 Good to see a fellow South African pursuing this exciting business of niche site building! Listen buddy, we’d ROCK with that kind of money in South Africa, and I don’t want to blow my own whistle but I’m pretty sure I’m well on my way and I got to tell you…it’s the best, positive feeling I’ve had with anything I’ve done online! Hey Ruan – Glad you’re finding some success! Good luck. Thanks, Buddy! Hope things are going well! Wow! And you only started out to earn $100 or so? Pretty impressive, dude. Godspeed to you. Thanks! Yes, the goal was very modest at first. The potential seems unlimited now. I just checked out your site… I’m a bit of a chili-head too. 🙂 I have a few ridiculously hot sauces – the kinds with warnings. I have backed off those recently for sauces that you can use more of without numbing your taste buds. What’s your daily hot sauce? Great job for your niche site. I am not making that much. Wonder you can have a look at my site? I’m ranking first in google for my intended keywords? Side note: I love the exit music, Spencer! hahaha. I JUST posted a comment below calling you out (Spencer) for the weepy exit music lol. Great job, Doug. I have a couple questions for you if you’re still around to answer! 1) Regarding link building–do you think that, instead of blog commenting and PBN’s and such, that focusing on making actual connections with the more authoritative people in your niche is a way to go? Or, is that not possible with the niche you chose? It’s just a question I have in general I suppose. I don’t know how realistic that would be, based on the fact that it sounds like you didn’t choose to, say, invest in a design, logo, etc. So, maybe presentation-wise it might not look as “professional,” but I just wanted to ask. 2) I know you are keeping your money site private, which is smart! But I’m wondering this…it seems you have a personal blog that is sort of in the vein Spencer’s here, or Pat Flynn’s, where you essentially share what you do online, share income reports, strategies, and (just guessing) maybe injecting a few affiliate links here or there. My question is this, if you are smartly not revealing your money site, and also not revealing your niche, I’m very curious to know how you’ve gone about building a following of readers? In other words, I’d imagine people come to websites like yours and Spencer’s and Pat’s to look at how someone is making money online, in specific areas and doing it in specific ways, so that they can adopt some of those same practices in whatever niches they choose. But if you’re a little more guarded about your niche site(s) and niches overall, how do you get around the potential problem of visitors feeling like you’re not being honest and authentic? How do you build the complete relationship with your readers, and gain a strong loyal online following, if you’re holding the cards close to the vest, so to speak? A) I’ve taken the approach of outreach as you have noted in the previous question. In addition, most readers seem to understand that keeping the money sites private is reasonable. A lot of readers have started to see a bit of success – for example, making a few sales on Amazon – so they know the revenue is realistic by extending that success. Does that answer your questions, Mike? Just wanted to congratulate you on your great success so far in the niche site arena! I really appreciate your time as well as Spencer’s in creating this insightful podcast. I found the project management and prioritization approach to site building really “clicks” for me. I may have to check out your book! Also, the segment where you thoroughly explain your link building process was awesome. I thought it was interesting that your home page features an article of about 4,000 words, do you think this has a large SEO or conversion advantage over a 1000 word home page? Thanks again! Hey Corbin – Thanks for the comment. I think the 4000 words is very helpful for the SEO. I can’t know for sure but it certainly presents more information that can be helpful for the visitor. Inspiring story, Its so tough to rank niche site nowadays. If possible, please share in more detailed how you do the backlinking and is that strategy still works. Hey Phuong – thanks for the comment. It is tough…but it is still possible. The comments of this post is not the best place to outline a backlinking strategy. I think the main thing is to find a solid source for your knowledge – like Niche Pursuits – and follow through on the process. Try not to get distracted by too many different methods. The closest thing to a silver bullet would be a strong PBN…That’s expensive and time consuming but you can’t beat having your own network for links. Doug your story has gotten me motivated again. I had a few sites back in 2009 and gave up. Listening to your podcast, and others on this site have lit the fire under me. I have a wife and 4 small kids to support and my dream would be for my wife to not have to work (or to help me with my online business). Hope to hear more from you and I will be following your blog. Hey Neil – Thank you. There is definitely a lot of opportunity out there. Once you get rolling and see what is still possible, you will be glad you got back on the horse. Cheers! Were the 20 2.0s all pointed at homepage or were they dispersed between homepage and the longtail keyword pages? Were all 2.0s hand written or did you write one article and spin it for the rest? Hey John – The web 2.0s blogs were dispersed between the homepage and other posts/pages. Some of the content was hand written and some of it was spun. If I were to do it now, I would have it mostly handwritten and point to more of the posts/pages rather than the home page. In addition, I would link using naked URL anchor text primarily. On another note, I went and grabbed Doug’s book after listening to this podcast and even though I’m not a complete beginner to this whole game I found it super useful, especially as someone who has VERY limited time to work on this stuff. Thanks a bunch for checking out the book. I really appreciate it! Shoot me an email sometime and let me know how everything is going with your site(s). Cheers! Your success is more impressive than Perrin and Spencer. $6000.00 for a small niche site is a lot. Is it making $6000.00 every month or have it increase? Hoping to make as much as yours. My keywords are top five in page one of google but not making as much as yours. Maybe it is because my site is monetize with adsense. Might add amazon links and see if it will increase the profit? Thanks for the insightful ideas and shares. Thanks! The big month of over $6k was a result of the retail season. Check out my blog for updates but overall the site took a bit of a rankings hit in Jan and Feb. The result was a pretty big decline in the income. Currently, I am working on getting the rankings back on track. It’s been a process so far! Depending on your niche, Amazon might be a big improvement over Adsense. It just depends on your keywords & visitors. Thank you Doug and Spencer, more inspiration for the rest of us to ramp up our efforts.